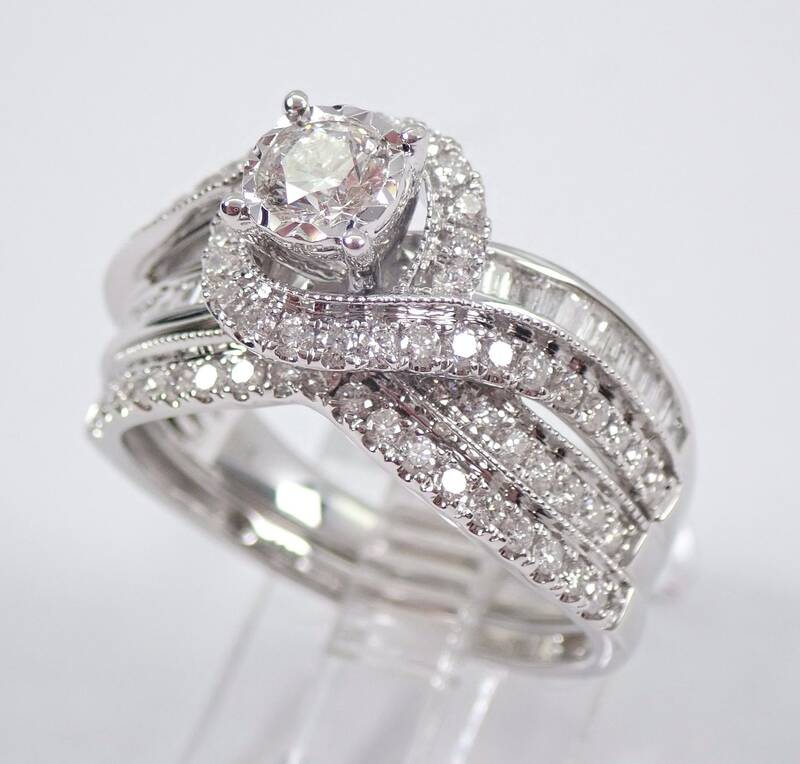 1.45 carat Round Brilliant Diamond Engagement Wedding Ring Band Set in White Gold. 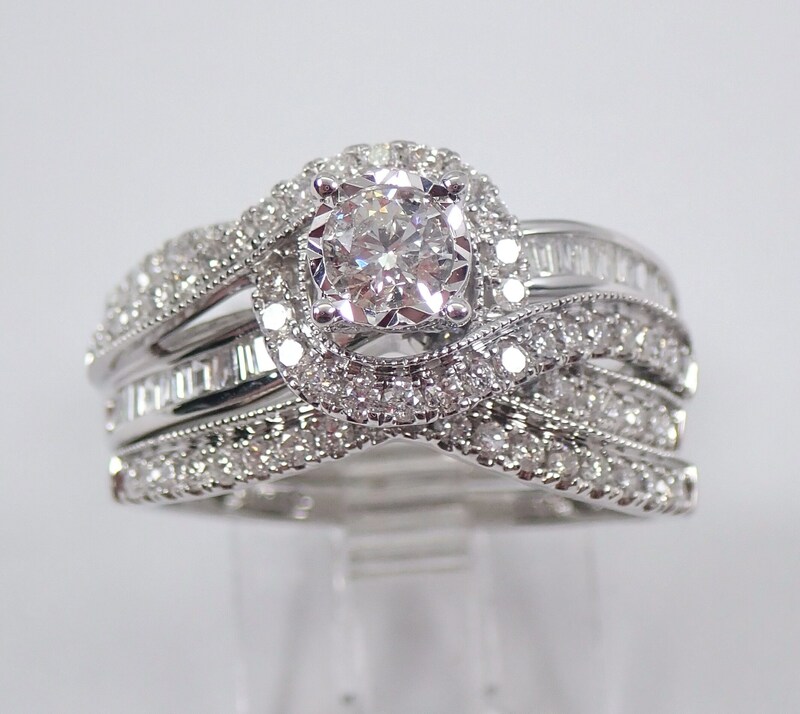 This engagement ring is set with one genuine, natural Round Brilliant Diamond in the center. This Diamond is H color, SI2 clarity and weighs .25 carat. 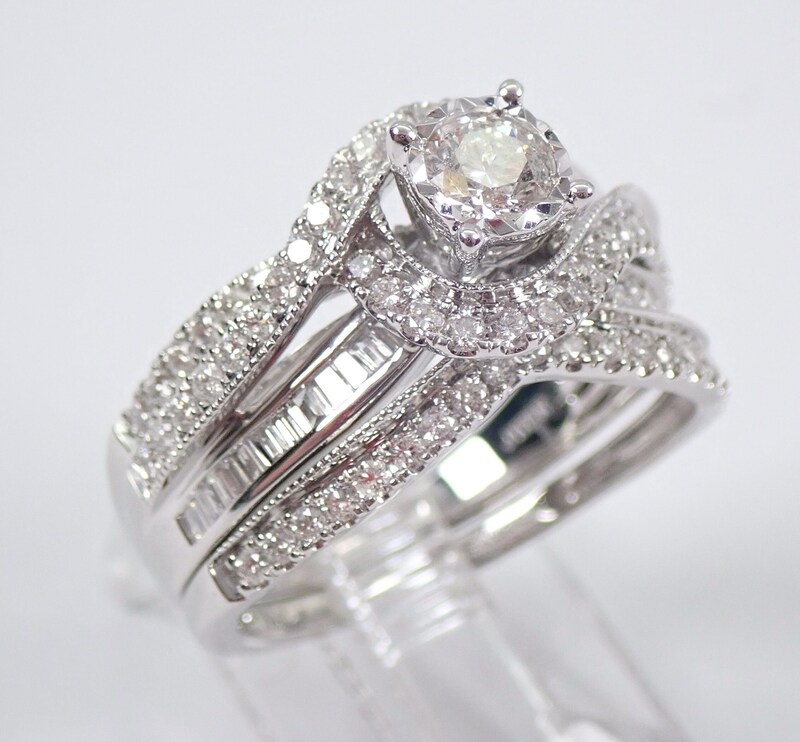 There are fifty-four natural Round Brilliant Diamonds and twenty-four Baguette Diamonds set in the engagement ring. These diamonds are H color, SI clarity and weigh a total of 1.00 carat. 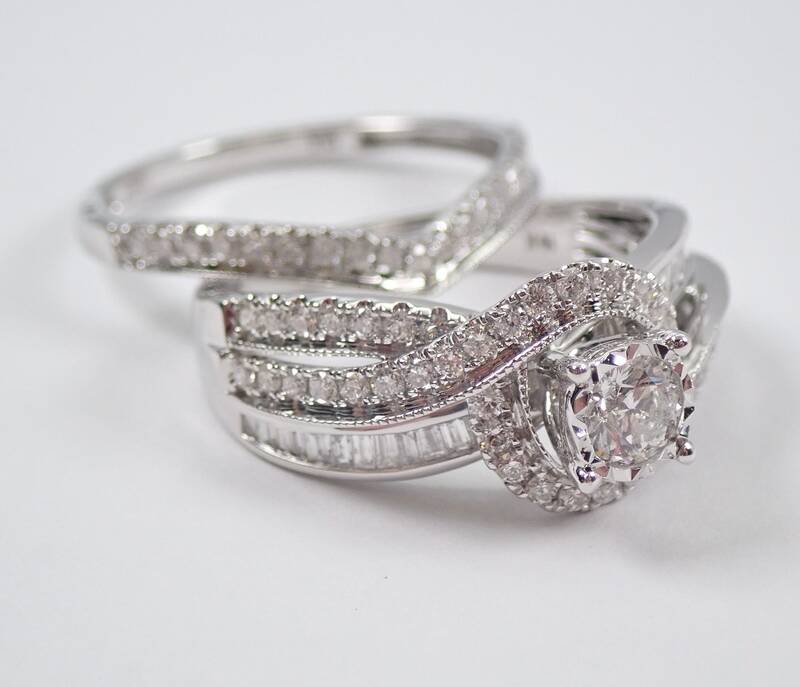 The matching wedding ring is set with nineteen genuine Round Brilliant Diamonds. These diamonds are of a matching H color, SI clarity and weigh a total of .20 carat. 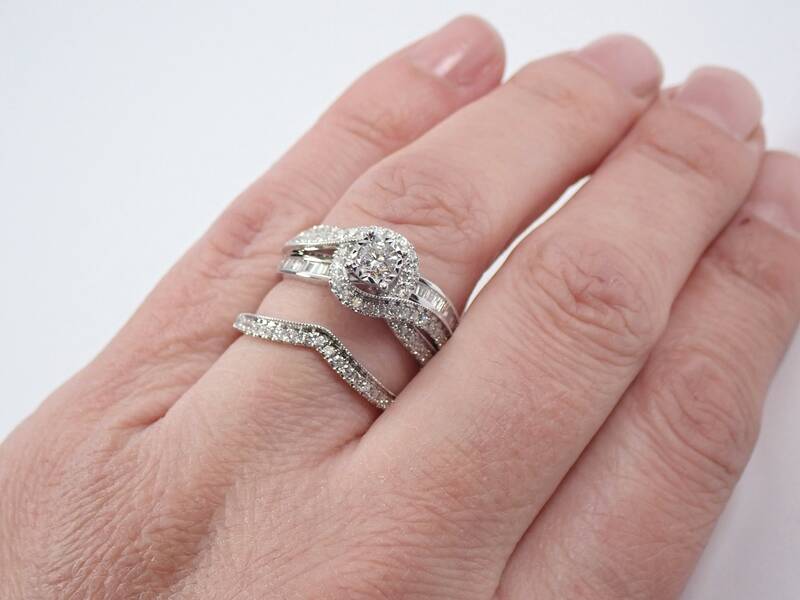 The total diamond weight of these rings is 1.45 carats. 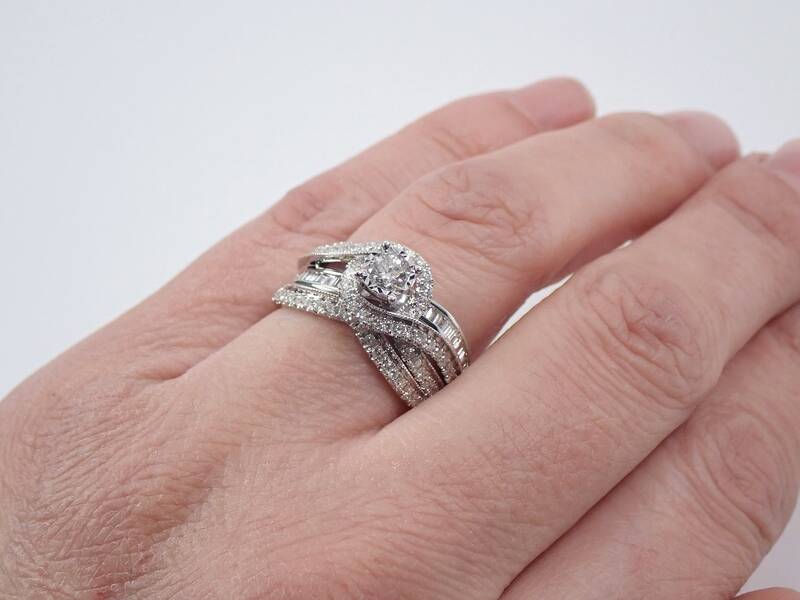 Both of these rings are 10KT White Gold, weigh a total of 5.3 grams and are a finger size 7, can be resized (please inquire about sizing with the finger size you need). 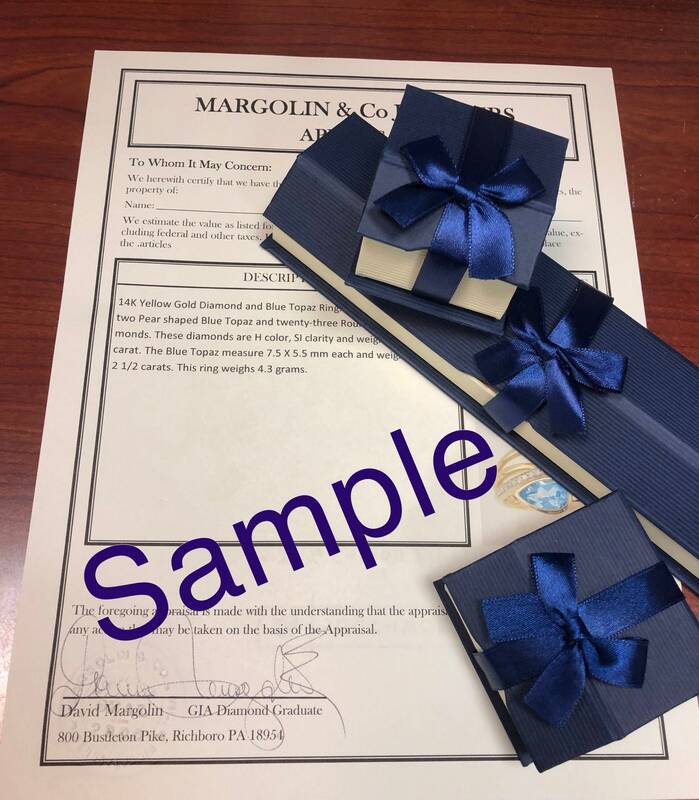 These rings will be accompanied by an appraisal by a GIA Certified Diamond Grader with the retail replacement value of $2,875.00. I will ship these rings promptly in a beautiful gift box.